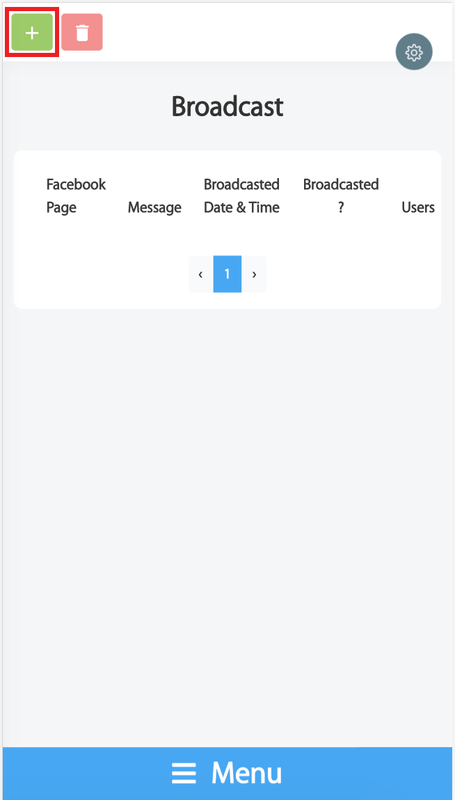 The broadcasting feature allows you to send a message to a group of customers at the same time. It is particularly suitable for informing your customers of new promotions and making any other important announcement. 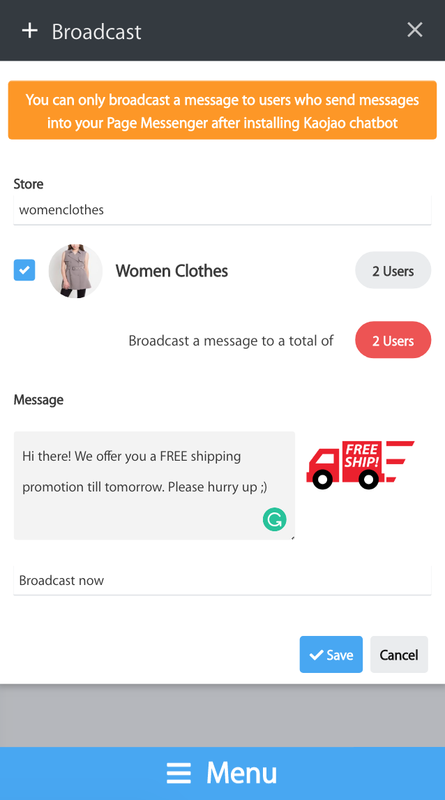 You can only broadcast a message to customers who have sent messages to your Page Messenger after Kaojao chatbot has been installed. 1. 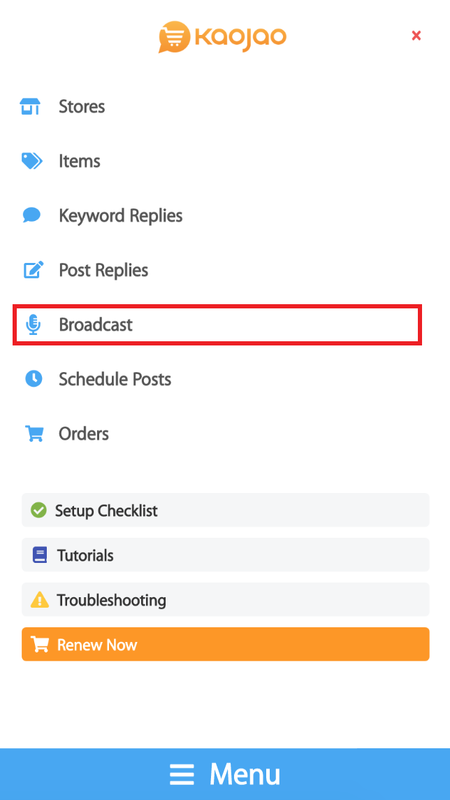 Navigate to the "Broadcast" menu and click on the "+Broadcast" button. 2. 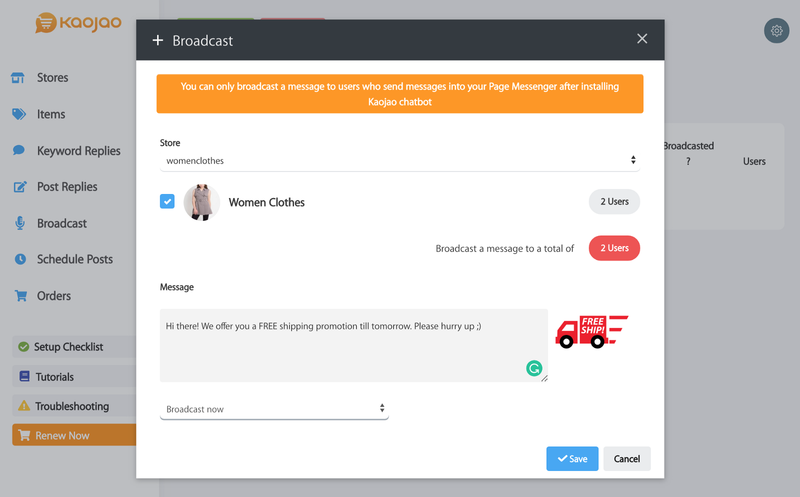 Select the store and Facebook Page, and enter a broadcast message and/or attach a photo. 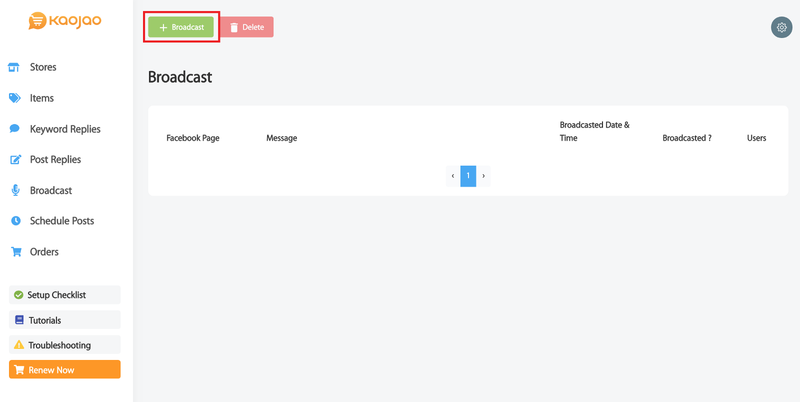 You can choose to broadcast immediately or schedule a time for the broadcast in the future. Click "Save." 3. 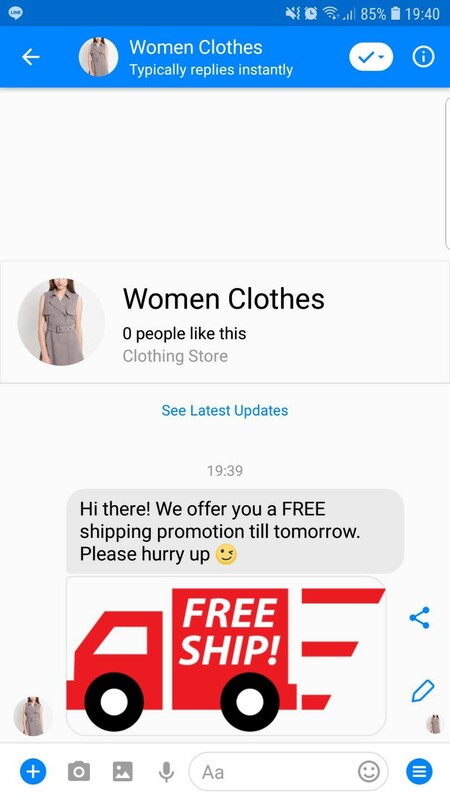 Your message will now be broadcast to the customers' inbox.